Empower your colleagues and staff to find what they need and place their orders. 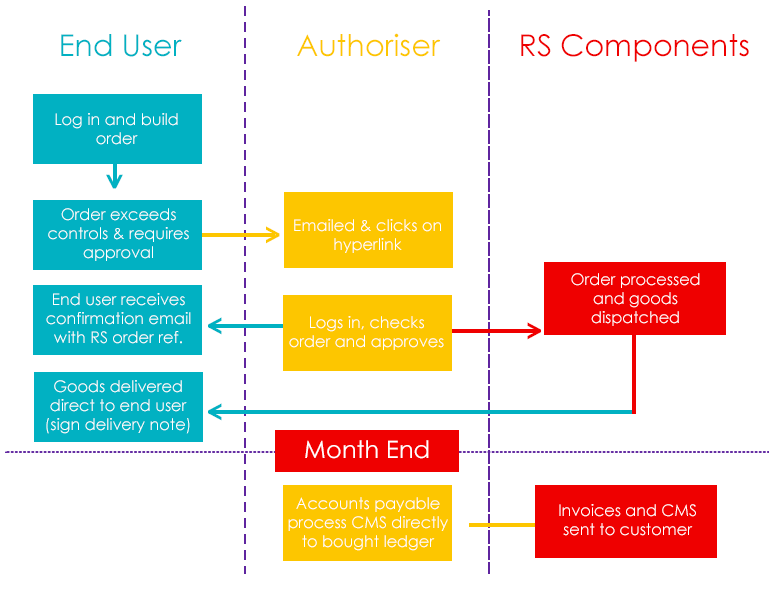 PurchasingManager™ is a web-based order management tool ¹ that provides control over purchasing limits & spend across multiple users ordering from the RS website. This customisable tool is ideal if you don't have in-house eProcurement systems. There's no cost or investment involved & you don't need to upgrade your IT systems.